[QODBC-Desktop] Troubleshooting - Error = 80040437, The user you are trying to log in with is already logged in from another machine. Troubleshooting - Error = 80040437, The user you are trying to log in with is already logged in from another machine. Our company uses QuickBooks 2018 contractor edition which allows only one user at the same time. Yesterday, I have set up QODBC with an admin account. This account is always used by our finance team leader. 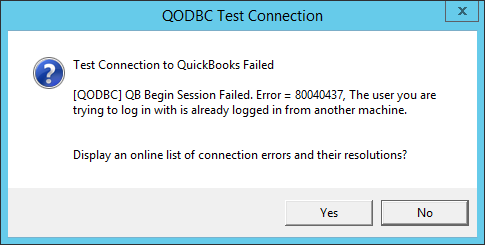 Therefore, QODBC driver can't connect to QuickBooks today. It has 80040437, the user you are trying to log in with is already logged in from another machine. The team leader accesses from her work machine and QODBC is running on QuickBooks Server machine. Could you advise how we can solve this problem? 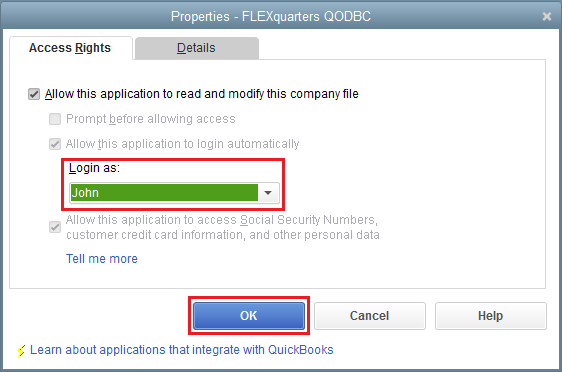 When you connect to QuickBooks using your application through QODBC at that time QODBC will connect to QuickBooks using QuickBooks SDK & log in to QuickBooks with the "User" which is currently logged in to Company File. User specified in the Integrated Application Preference is ignored. When you connect to QuickBooks using your application through QODBC at that time QODBC will connect to QuickBooks using QuickBooks SDK & start QuickBooks in the background with & log in to QuickBooks with the "User" which you have selected in the Integrated Application Preference at the time of certificate acceptance in QuickBooks. 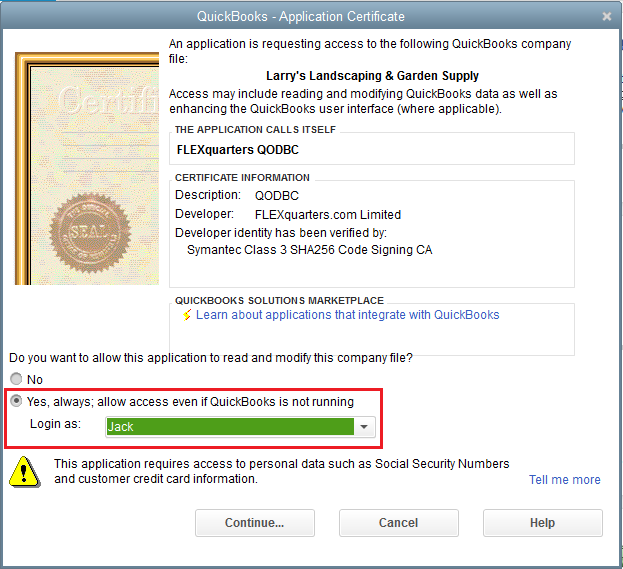 So when the same user already login to QuickBooks Application & you try to connect to QuickBooks using your application through QODBC with the same user at that time you will face above issue. 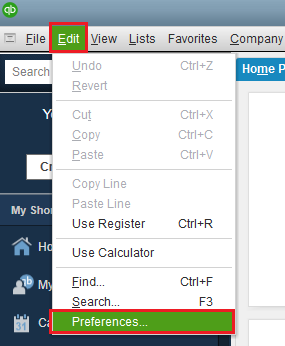 The thing you are trying to do is log in to QuickBooks Application using the same user from two locations (i.e. 1st from QuickBooks Application in the foreground & 2nd through QODBC in the background.) which is not possible. 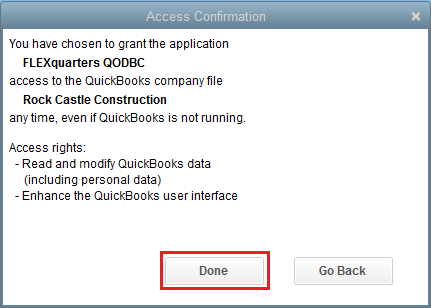 You can either ask the user (who is also associated with QODBC Integrated application) to log off from QuickBooks. You can use another user account on the integrated application configuration. 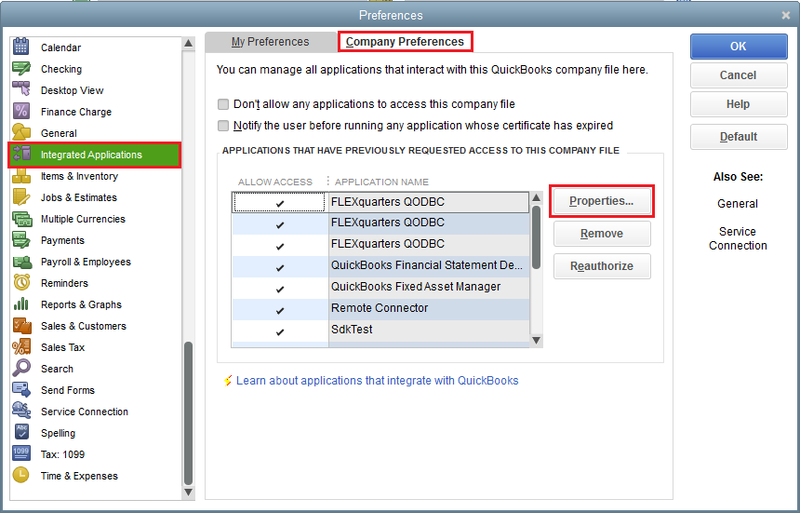 Change Integrated Application access user from QuickBooks UI via Edit Menu -> Preferences -> Integrated Applications -> Company Preferences Tab. 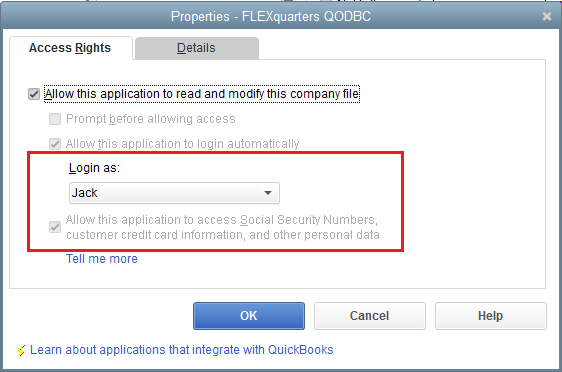 Switch to Company Preferences tab, Select "FLEXquarters QODBC", Click "Properties"
Integrated Application is showing Access rights for the User. You can change Access rights for the User by selecting another user account from the dropdown list & click "OK" and close Integrated Application Preference & check again. If you are connecting the first time, then you will get below option at the time of connection. You need to select the User Name at the time of certificate accept the process which you want to use it.